Based on the Sercos III protocol, it is able to control up to 32 axes in electronic cam and up to 200 I/O in 1ms' cycle time. 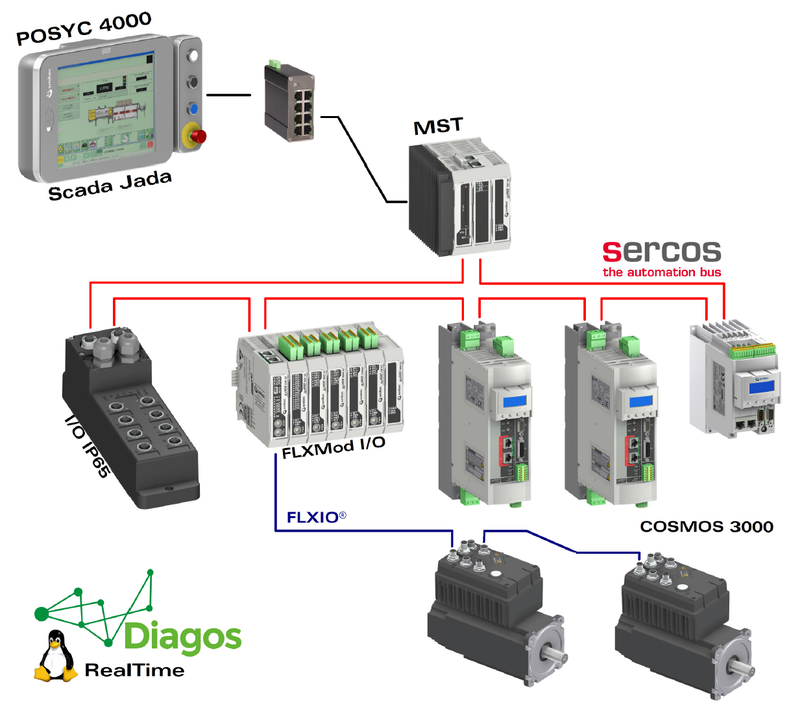 The system features two industrial PC, one for the HMI and the other for the process control. The computational power is suitable to perform very complex automation tasks, but it can grow with the speed of the processor without rewriting a single control code's line. It is open and flexible and can run both Smitec software packages and commercial solutions. It can feature as well commercial devices from Phoenix Contact, Wago and Bosch-Rexroth.